Do you need some fast gate repair tips? 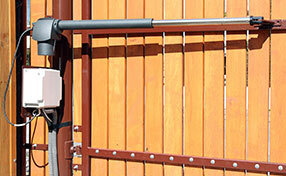 Take the expert's opinion for stable gates and smooth movement of the gate. Basic steps to keep a well lubricated and maintained gate! Find out how! Learn how to remove rust! As explained by the experts at Gate Repair North Hollywood, it is recommended to eliminate any traces of rust as soon as possible. This can be done by repainting, or by using sand paper and applying it on the rust. Rust preventing products should be applied to make sure that it does not spread, or even come back after the initial fixing. Dust and other foreign materials can be one of the most popular reasons why the life of your gate at home is shortened. 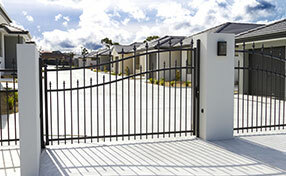 To make sure that this does not happen, make sure to clean your gate regularly. While occasional cleaning may work, a thorough, and professional cleaning service may also extend the life of your residential or commercial gates. Sagging commonly occurs in swinging gates because the posts tend to misalign owing to expansion and contraction of the soil. Sometimes the hinges turn loose or possibly the gate is too heavy. Our gate repair technicians in North Hollywood recommend setting the post on concrete and in case of wooden gates, securing the bolts on the hinge fasteners. Any gadget or equipment that is constantly in motion requires lubrication and our gate repair experts recommend using an appropriate lubricant. If the neighborhood in the area where you live has a lot of dust then it may warrant frequent servicing. Components like chain can rust easily, so watch out for rust on a monthly basis and paint them as required. Excessive slack also needs to be adjusted by a professional as the links may need to be removed at times. 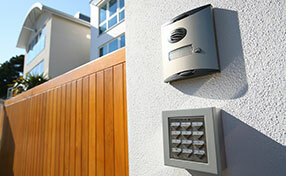 Intercom installation will save you a lot of time and make your life easier and more secure. There are plenty of models and types with tremendous technological capacities and the basic thing is that you can choose what you need and you'll actually control who's entering your property. Pay special attention to the condition of the gates’ sensors. Ensure that the gate is moving properly and keep the remote in a safe place away from children’s hands.